The epic fantasy RPG series is getting ready to take the adventure on the road later this year. It looks like mobile gamers are in for a treat from one of the best game makers out there. 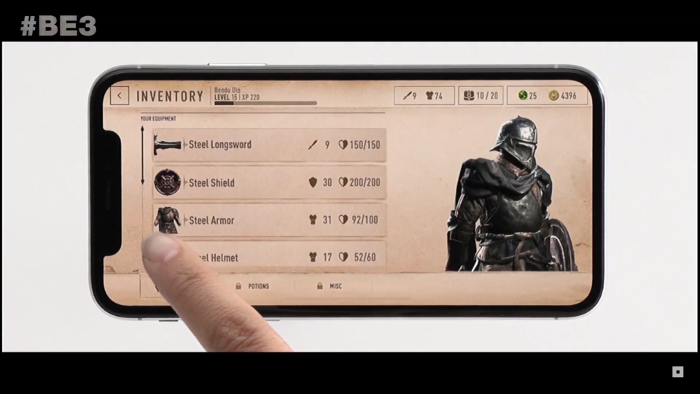 Tonight at Bethesda's annual E3 press conference, the company announced that they would be bringing their iconic Elder Scrolls RPG series to the world of mobile gaming in the form of Elder Scrolls Blades. The new game will be a fully realized gaming experience that, while designed for mobile, will also be potentially making its way to every platform it can including both portable and high-end VR kits. 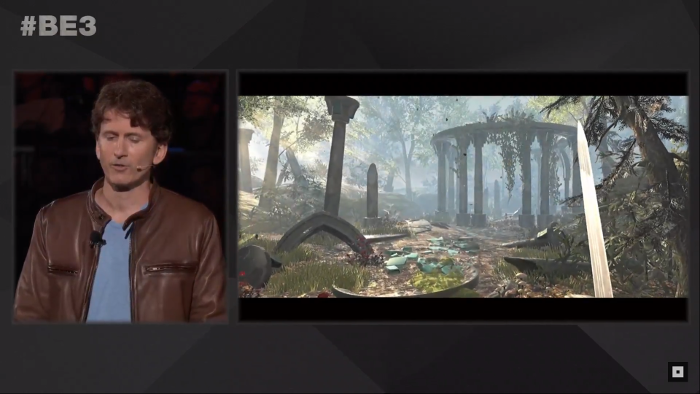 Elder Scrolls Blades looks to offer console quality graphics in a portable form that can be played holding the phone sideways or in portrait, so you can make it look like your taking notes during a meeting while your slaying some monsters. Movement and combat actions will be executable using a screen tap method or a two-finger scrolling system. 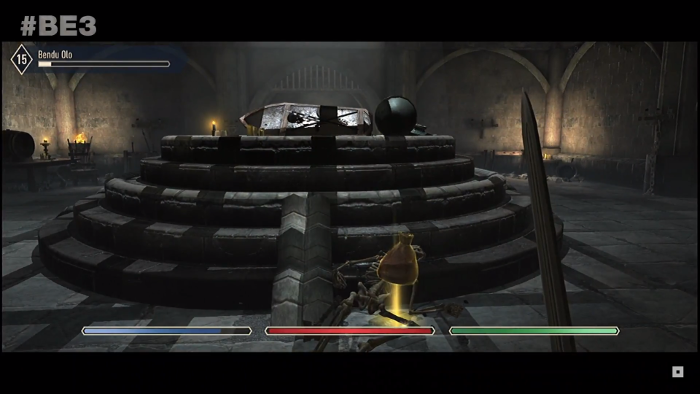 Players will have melee moves that let them cut or club their way through enemies and will also have several spells at their command. Fans will take on the role of a member of a group of warriors known as "Blades". Characters will be customizable and there will also be a hub world village where players will get a chance to do some town building in order to unlock new quests and city functions. Friends towns will also be visitable. Combat will take place in several indoor and outdoor areas, but there will be a game mode called "The Abyss" that will offer up a rogue-like endless dungeon experience. 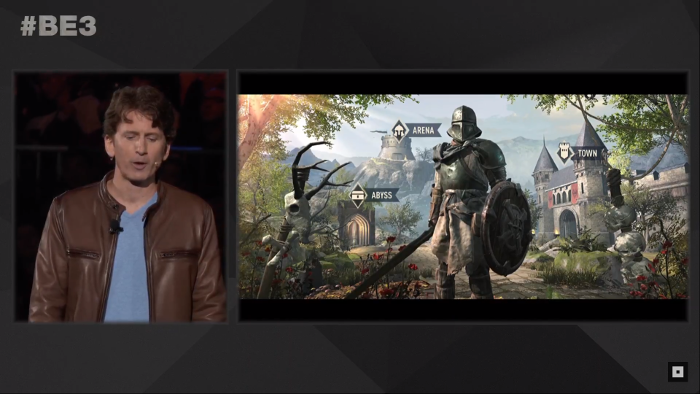 Elder Scrolls Blades will also feature a PvP arena area for players who want to go head-to-head. Elder Scrolls Blades will be coming to iOS and Android mobile devices and beyond later this fall for free and players can go to playblades.com now to register for early access.